Thread: What oil do you guys use? Re: What oil do you guys use? I don't know enough to say any oil is better than another. I can say what seems to work for me. I can quote advertising and marketing all day long but that doesn't mean I actually know the quality of a product. Unfortunately one truth that I think I know is that a lot of what we believe is fact, is marketing and paid for test results. My motor has worked well for 9 years. I've known people who use Rotella for years without any failure. I use Wesson, Canola, cooking oil. Works, smells and taste great! Little calories and heart healthy!! Works great on the chain too!! Kenh says he uses Mobile1 in his car but I bet he uses mc specific Mobile 1 in the bike.. Anyway, you should use whichever oil you fell comfortable with, we won't judge you too harshly. Being a European automotive repair technician, I would recommend Liqui-Moly. The shop I work for uses it in BMWs, MINIs, Mercedes, Porsche, etc. They have a line of motorcycle specific oil, and in several weights too. It exceeds all the requirements for the factory oil it replaces. I would also like to recommend MANN filters. 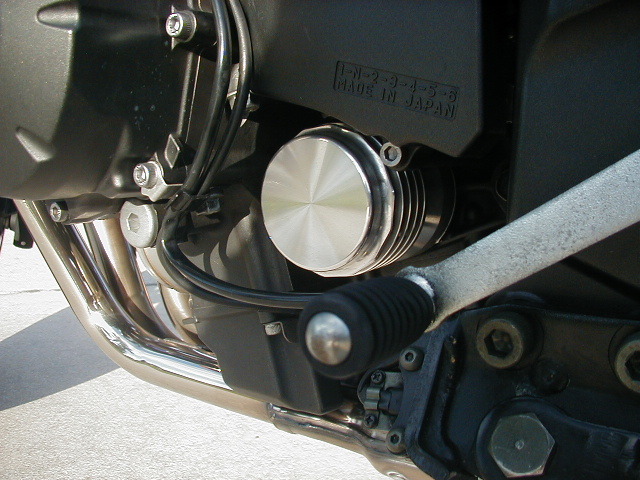 They are OEM for most European automobiles, and make a filter that fits the FZ6 as well. I like better shifting. Maybe I will give it a shot. Going to cost double what Rotella costs. I noticed it most with downshift when coming to a stop. I do one oil change per season and I don't mind paying a little extra. It is worth a try if you are on the fence. You guys are going to get mad - I spent $60 on 4 Liters of 10w-40 Motul 300v racing motor oil. I want to give it a shot. Read great things. I understand it is for racing/track which I do not do but I also don't plan on going over 3K miles this summer. If I do, I'll change it. I'm not mad, I use Motul 5100 semi synthetic and am very happy with it. Like you, I change it once a year with under 3,000 miles yearly..